She tried to return to her faith with a renewed commitment. She went to seminary college in Oklahoma and married a minister, and became a minister and worship leader herself. Leaving her marriage and life as a preacher was a slow process. It took time and grit. But eventually, Astu arrived at a version of herself that’s unafraid of challenging that which may seem preordained, and seeks new pleasures in unfamiliar territory. That courage and experience are evident on the singer’s new EP, Patterns -- a particularly insightful and self-assured debut, sure to count as one of the Bay Area's most notable releases this year. When I meet Astu for coffee near Lake Merritt on an overcast afternoon, she arrives in sizable door knocker earrings that match perfectly with her bold, glossy blonde finger waves. “It’s something that I’ve dreamed about for so long,” she says of her new EP, gleaming. Over the course of seven songs and five interludes, Patterns concerns itself with love: love of self, love of others, and love that frees. Produced mostly by Daoud Anthony -- who’s worked with Chicago indie hip-hop darling Saba -- the project moves at a languid pace, with warm, summery vocals and sticky percussion all orbiting comfortably in the electro-R&B and soul galaxy. Astu’s dexterity is best displayed on “Paperheart,” a standout track from the EP that switches from playful warning to sweet supplication over Anthony’s soulful, funky production. 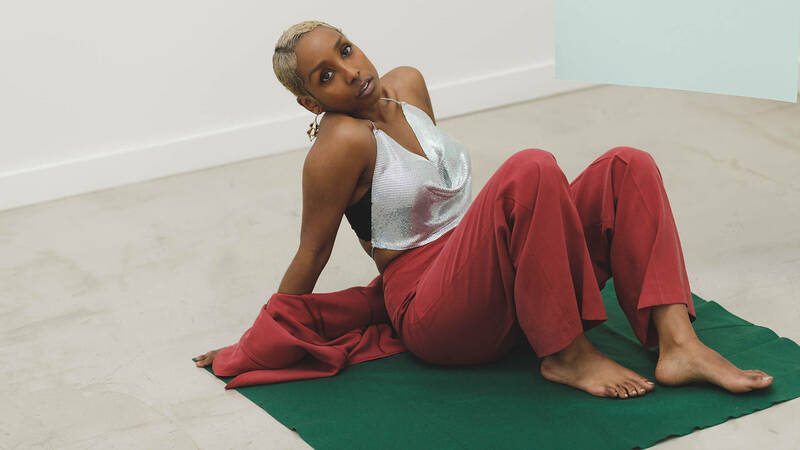 Astu spent half of 2017 writing Patterns and recording it at San Leandro’s After Ours studio; she says that the completion of her debut project signifies a beginning. “It doesn’t feel like an end. It feels like a doorway.” To what, I ask her. “Everything I've ever wanted,” she exhales with a giggle. So Astu sang for others. She joined choirs at her high school and church, and sang background vocals for her brother’s psych-rock and blues band. When she moved to Oklahoma for college, she led her worship group in song. But the weight of life in service of a religious community that she no longer identified with grew to be an uncomfortable burden. After she left her Oklahoma life behind, Astu settled back in the Bay Area, landing first with her mom in San Jose and then moving to Oakland in 2013. As she began to acquaint herself with her identity outside of the pressures of church, she returned to music through open mics and jam sessions around the Town. Those last few years of pushing herself emotionally, spiritually, and creatively resulted in Patterns, an elegant debut polished by Astu’s battles against religious dogma and the inescapable soul-searching that followed. On “Love Lessons," the EP's choral, intimate outro, Astu and her friends talk about the different lessons they’ve learned about love. I ask about one that's stuck with her. Astu celebrates the Feb. 23 release of Patterns with a performance and panel discussion at Red Bay Coffee on Feb. 22. More info here.